The next six verbs were the actions that became part of us as a family. 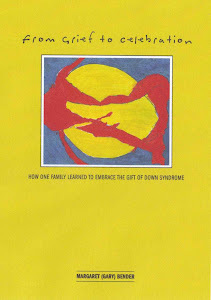 John and I no longer needed to reconcile down syndrome as parents; we began to embrace down syndrome as a family. It became part of who we are. We found that by actively seeking opportunities to include Alex, whether it was art lessons, sports teams or school, what we were really doing was including Alex. Alex became part of our community; accepted and welcomed wherever she went. Alex was no longer the kid with down syndrome; she was just Alex who happened to have down syndrome. In my opinion the best way to insure this philosophy of inclusion is to start with the basics; the IEP or individual education plan. The IEP is one of the many tools that educators and parents use to educate a child with special needs and is put together by a team of educators as well as the parents. In a perfect world it is a great tool. The IEP is born when the child enters the public school system, which was six in our case, because we held Alex back a year. Additionally, a special education determination must be made. Fortunately in a child with down syndrome special education eligibility is determined at birth. Some parents do not have the advantage of such an early diagnosis and must fit the system to get services for their child. Once again I know we are lucky. We, our team, and I will speak to the importance of the team philosophy later, put her plan together just before she started kindergarten. We wove inclusion into every aspect of Alex’s goals, but also recognized situations where Alex would be better served in a resource (special education) room. The IEP becomes the bible that parents and educators use throughout the child’s educational experience, which can last until the child is 21. In theory this is a successful strategy. I whole heartedly embraced Alex’s IEP and our MDT (multi disciplinary team). We saw and still see, weekly, or monthly, improvements in language, reading, math and general cognitive abilities. Alex and most children with down syndrome learn extremely well when they do not feel excluded from their peers. I have found that peer pressure as well as the desire to keep up with her peers is the best way for Alex to learn. I often meet parents of younger children with down syndrome who tell me they think Alex is doing well. 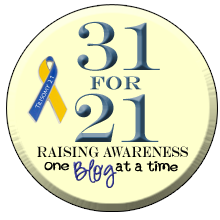 I have three responses; early intervention, inclusion and a supportive school district. I know the school district vary from area to area and certainly funding cuts have affected services. My advice; persevere and insist! The Wikipedia article is a good one. (The special education article in that same encyclopaedia is a mess, though).